Remember my youtube video where I shared how I take care of my arms skin in summers. Not watched yet? Then definitely check it out and if you like please don’t forget to subscribe to my youtube channel. These days I am using Mr. Bean Coffee Bean Scrub. 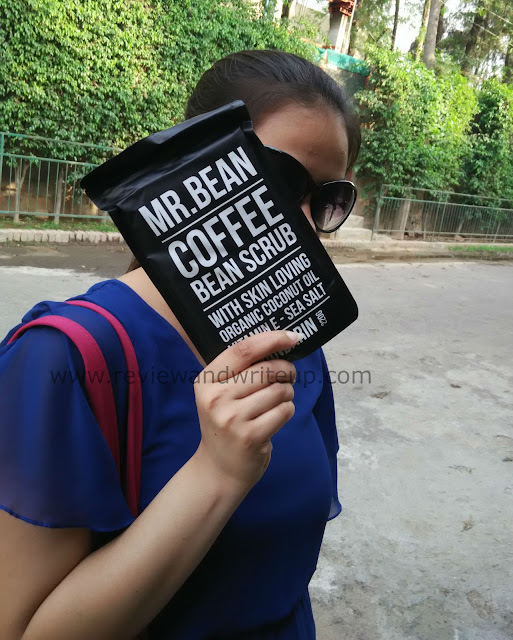 Packaging – Mr Bean scrub is packed in coffee brown color sealed packet. Once you open the pack, it can be sealed back. But I wish they would send us in jar or something. And please note that it’s a dry scrub so it is easy to pack in a plastic bag. I used one of my empty jars to store remaining scrub. 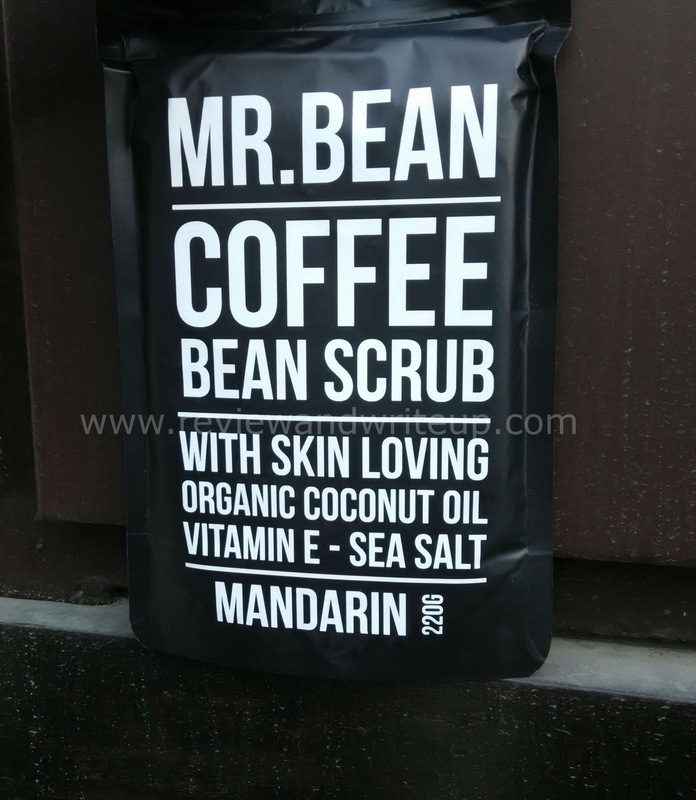 Ingredients - roasted ground coffee beans, Himalayan pink rock salt, Demerara sugar, organic cacao, cold pressed coconut oil, vitamin e oil, natural mandarin extracts. Claims by brand – rough skin or dry ski or stretch marks & cellulite? Scrub is up for the challenge with regular use it will target cellulite, improve skin tone and leaves you feeling softer and smoother than ever. 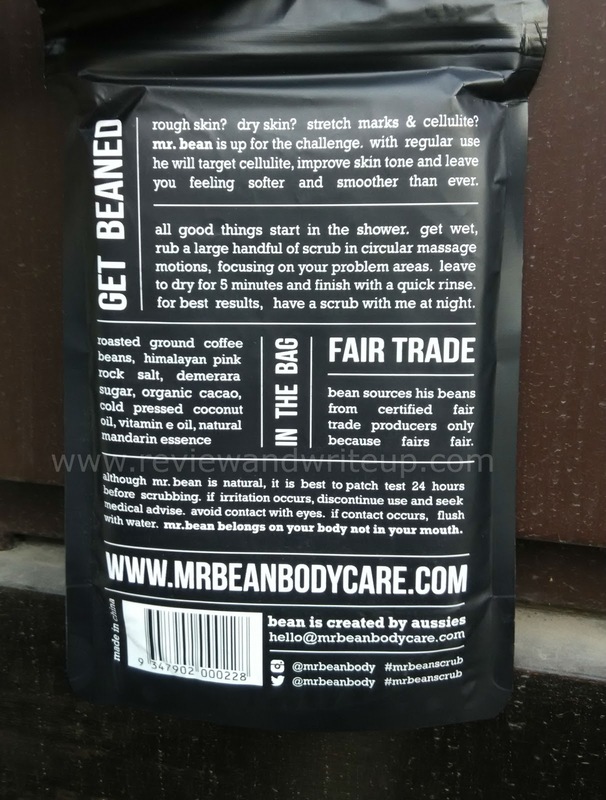 My experience – This is a dry scrub. So I transferred it on a dish and carry with me to bath. My idea of scrubbing is to first cleanse your body with regular body wash or soap (whatever you use daily). First day I poured more quantity as I assumed I need more for whole body scrubbing. To my surprise we need very little quantity of it. Although my arms were not tanned (thanks to my tips) still after scrubbing they appeared so clean and so did rest of my body. Usage instructions say that you have to keep the scrub on skin for five minutes. The smell of this scrub is amazing. If you are a coffee and chocolate brownie girl (like me) then you are gonna love this smell. I felt like I am bathing with strong coffee and chocolate brownie. I was worried that it might take some extra effort to wash due to its rich cocoa color. But it got washed away very quickly. The minute scrub particles exfoliates well and it’s easy to clean bathroom post its usage. My skin had never felt this creamy before. After wash I feel like touching my skin over and over. I didn’t moisturize my skin for whole day as it was not required. Ok mine is oily skin so you will say ohh she doesn’t need to moisturize much in summers. But my sister’s skin is super dry. She gave me the same feedback about the Mr. Bean scrub and has already ordered her friend to bring another scrub from abroad. It’s priced at $14.95 and you can buy from here. 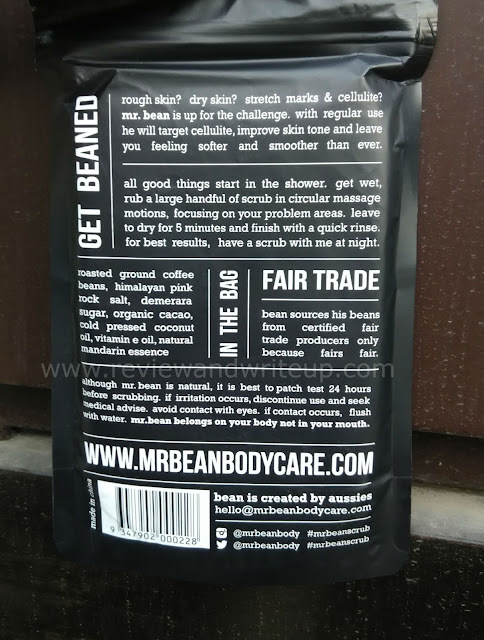 What you think of coffee bean scrubs? I would love to hear about your experiences. Such an interesting name..this seems to be a nice product. 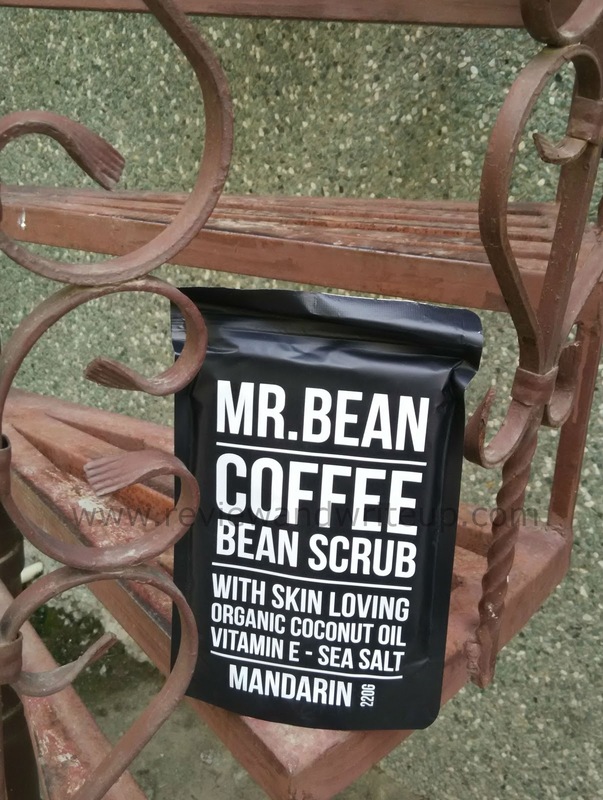 I love coffee scrubs.. Guess the product would have been nice if it came in a small tub. But nonetheless sounds like an amazing coffee based body scrub.